The environment we live in today is not the one that nature intended for us, we totally destroyed the original environment and today are living in an artificially created man made environment that has disconnected us from this planet, hence, the current generation and the future one's too, doesn't knows the importance of this nature and so they don't care about it. 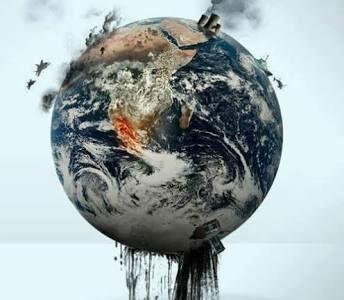 The planet is not dying, it is already half dead. Even then we don’t seem to tame our greed’s a bit, actually it’s exactly the opposite. There has been a tremendous increase in demand due to increased standard of living and unnecessary consumption just to increase business by advertisement, that makes people buy things they don’t need. This crazy thing called business, where people are destroying a visible nature for an invisible amount of money that stays somewhere on a computer screen in digital form mostly. The unnecessary race to leave others behind has resulted in our self-destruction and not only of a certain type of people but of everyone. There is a god or not?